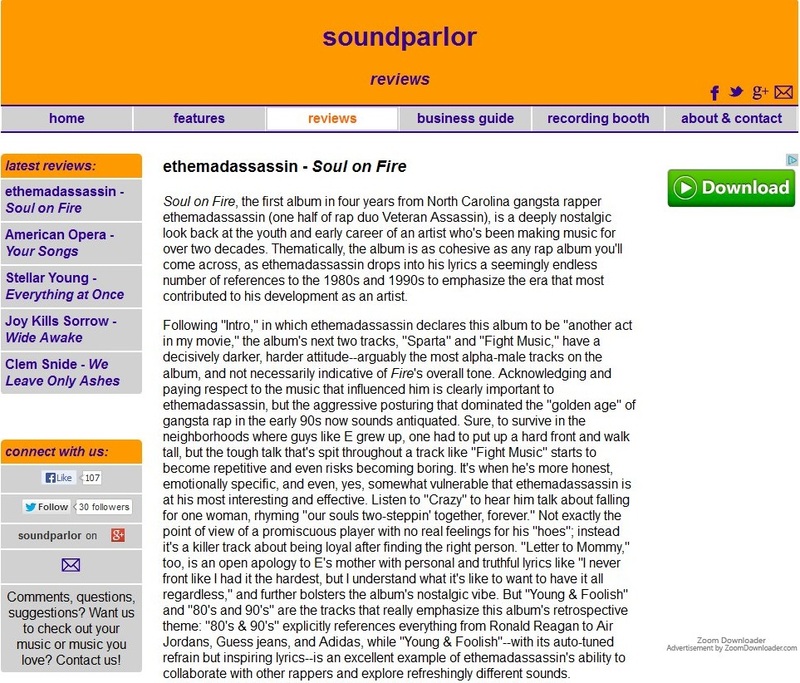 US online music magazine Soundparlor have today featured Los Angeles’ hip hop artist ethemadassassin and also reviewed his new album “Soul on Fire” which releases on 17th September 2013. 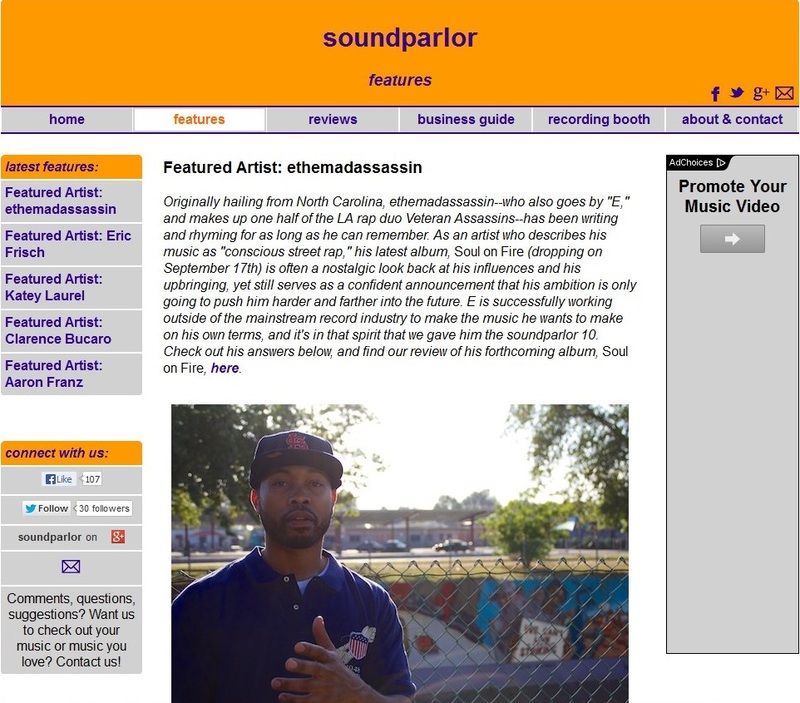 The review is an in depth analysis of the various factors which have influenced the album and E as an artist, with him first emerging from North Carolina’s rap battle scene in the 80’s & 90’s, and the life events that have taken place ever since. While the album does have an eclectic feel as a result, whether in terms of subject matter or the production, there is a consistent classic hip hop thread throughout which acknowledges we’re in 2013. Look out for the launch of his new official video “Can’t Get Enough” which will be premiering on TheRapUp.Net this Wednesday 24th July at 7am PST / 10am EST / 3pm UK GMT / 4pm CET Its a bangin summer track built around a huge classic soul sample shot out in the streets of LA.